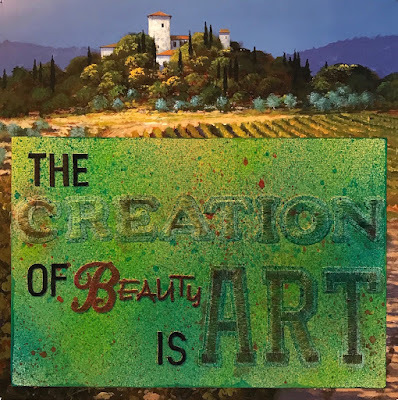 I found this quote online, and part of me believes it - that the creation of beauty is art. It makes me think of the classically-trained artists whose work is more figurative or representational. But I also relate to saying it the other way around - that the creation of art is beauty. To me, that implies that all creativity is good, no matter what it looks like. The style of mixed media work that I really love (and want to make more of) is abstract, emotional and sometimes grungy. It's rarely figurative or representational, and sometimes the word "beauty" is not the first thing to come to mind. So I arranged a mixture of Joy letters to spell out the quote, glued them to paper, then spritzed and smudged a few colors of ink all over it - teal, caramel, yellow and red. I mounted the quote to a lovely image of a more traditional landscape painting from an old calendar - I like the juxtaposition, as well as the reminder to make art...now! I always take time at the end of December to journal about the past year and make plans for the next. I like to keep my musings in a small journal, all on their own, so that I can easily pull it back out and review it. It's easy to make sweet little journals like these for yourself. 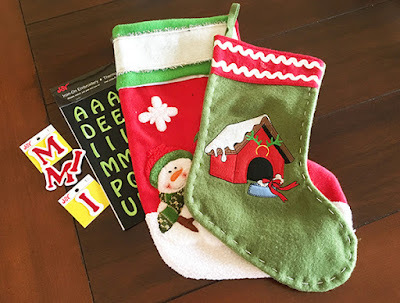 Use Joy embroidered letters to personalize them. These also make great gifts for your friends. 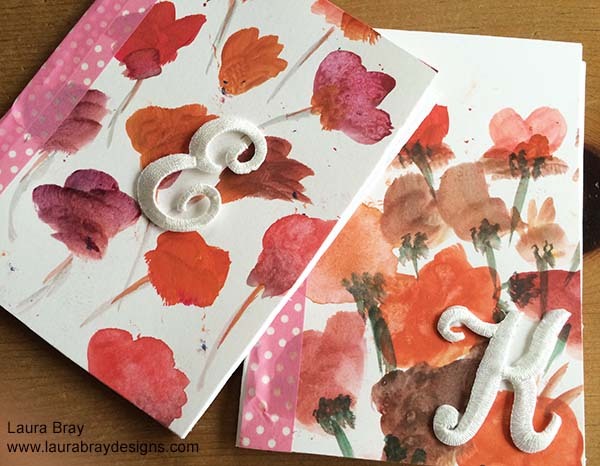 I'll show you how to make your own journals, but you can also just buy a beautiful journal at the store and then personalize it by gluing a Joy letter onto the cover. 1. Score the cover paper with a bone folder and a ruler down the center for a nice, sharp fold. 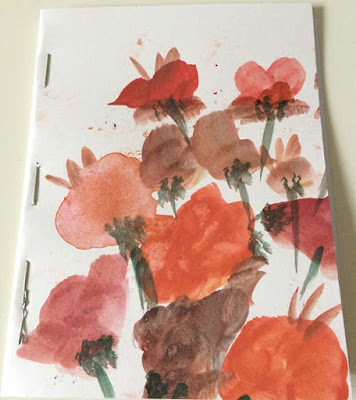 I created my own design on watercolor paper, but if you don't want to paint, use your favorite cardstock or pretty scrapbook paper instead. 2. Fold the inside pages in half and slip them into the cover. 3. Staple the interior pages inside the cover. If you have a long-arm stapler, staple right along the fold line (aka "saddle stitch"). If your stapler doesn't reach, just staple along the edge of the journal, making sure you catch all the interior pages in the staple. 4. Create an attractive binding by adhering washi tape over the stapled edge of the journal. 5. Glue a Joy letter as a monogram onto the cover of the journal. I hope these journals inspire you to start a planning a new year full of art and adventure. Come and visit me on my blog to get more craft projects, recipes, and creative living inspiration. 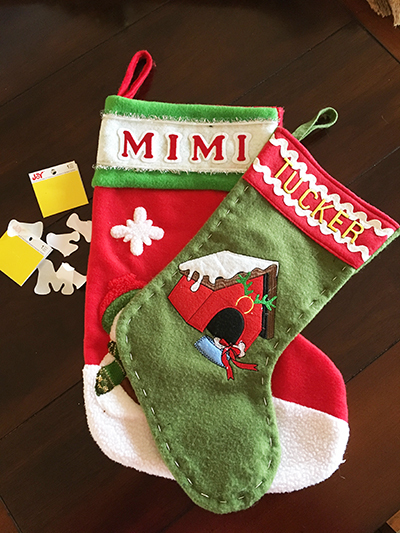 but the stockings for Mimi and Tucker weren't there! So to all a good night... Merry Christmas to you! 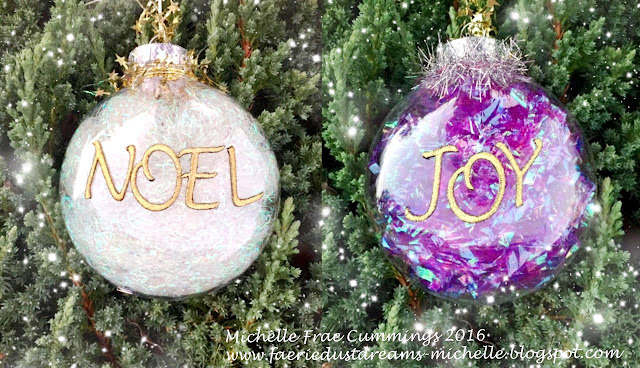 Add a little more sparkle to your tree with these easy-to-make Christmas ornaments - perfect for last-minute holiday hostess gifts, too. 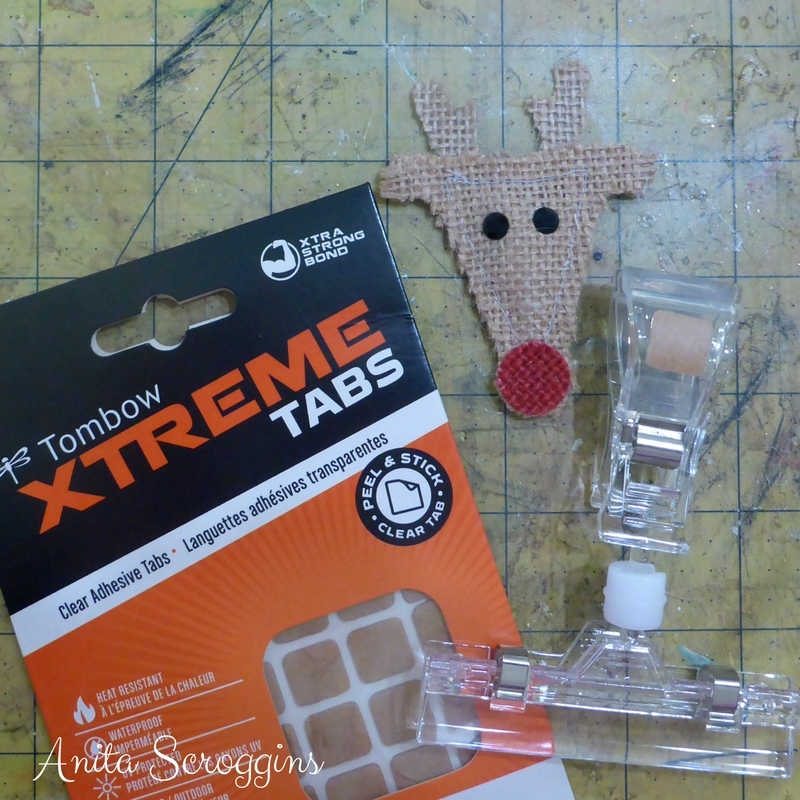 Remove the top of each ornament and fill with the cellophane. 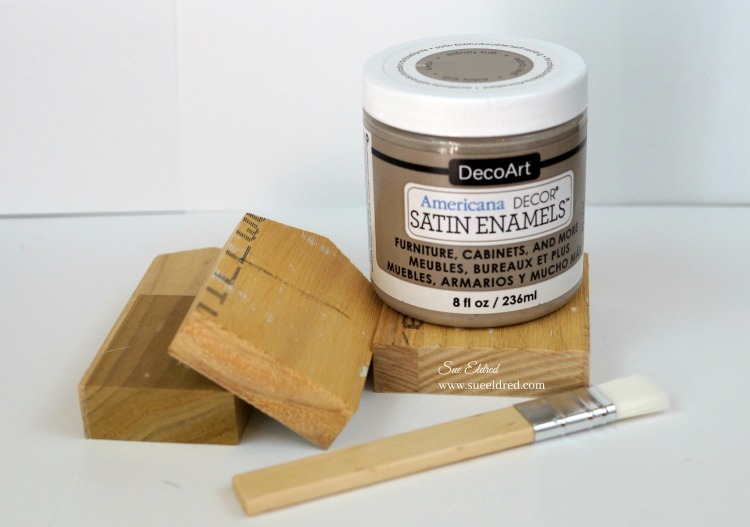 Add a bit of glue to hold the top in place. 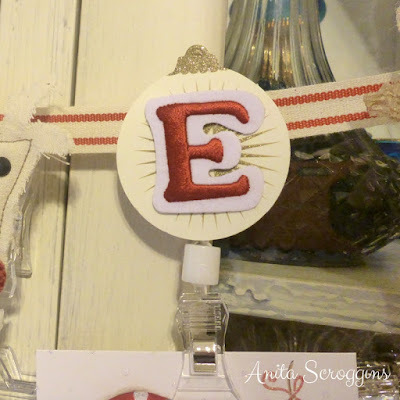 Glue Joy letters to your ornament to spell your favorite message. Wrap a little bit of trim around the top and hang for all to enjoy! 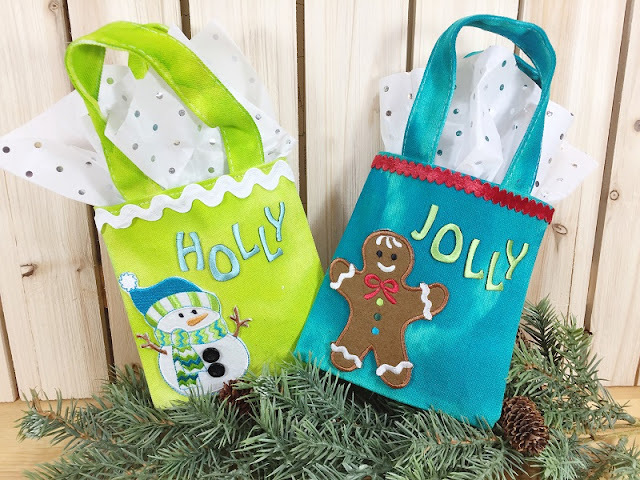 Make custom Christmas gift bags in just an hour! 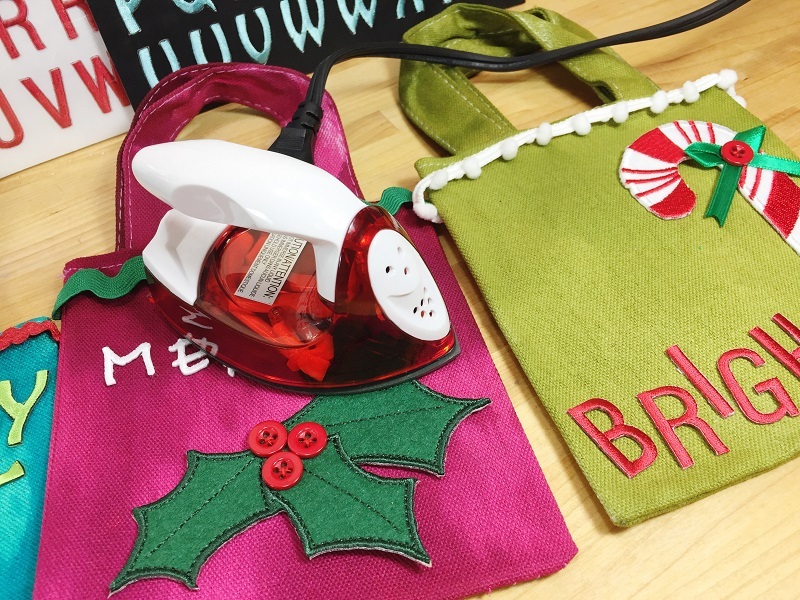 It's almost Christmas, so here are some quick and easy Christmas gift bags to make, which will hold all of those last-minute gifts. 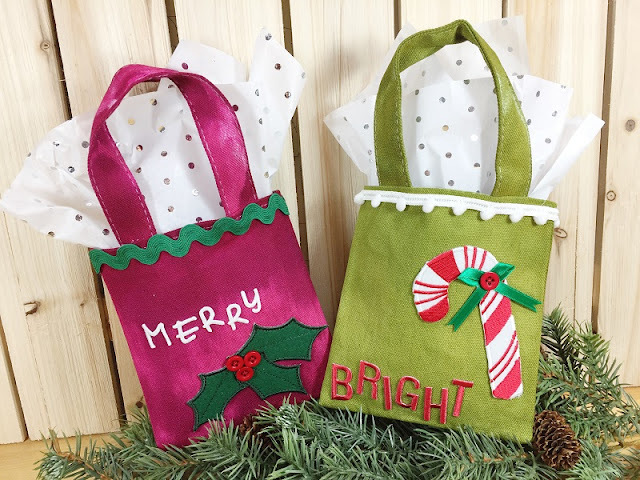 I found mini white fabric gift bags that fit a gift card, the perfect present for that special teacher, thoughtful neighbor or favorite co-worker. You can also use this idea in different colors and themes for birthdays or other holidays. All four of these little gift bags can be whipped up in under an hour (not including drying time), so gather your supplies and let's get started! 1. Cover a piece of cardboard with an old towel, then line up some plain canvas bags from the craft store on top of the towel. Choose a variety of ink mist colors to coordinate with the embroidered letters and designs. 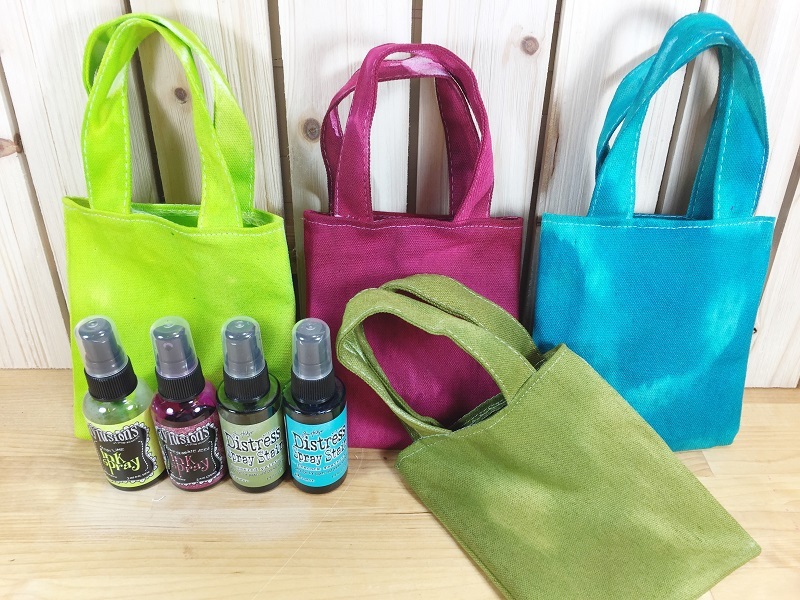 Spray both sides of each bag and the handles, then set aside to dry overnight. I love how vibrant the colors came out with a tie-dye effect! 2. 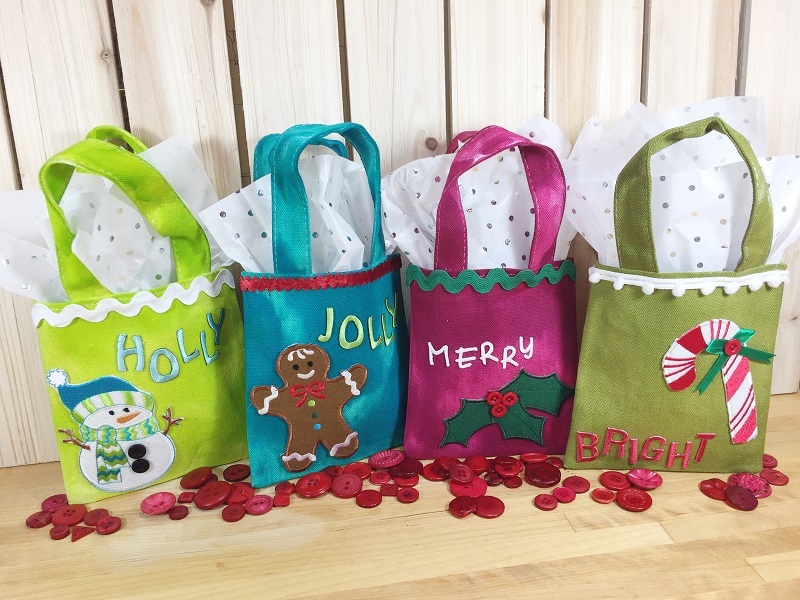 Select some fabric or felt holiday die-cuts plus Joy embroidered letters to spell a word for each bag. Joy letters are available in a wide variety of colors and styles, so you can mix and match to create the perfect look! Pick some trims to embellish the bags. 3. Position the letters on the bags and iron them on according to package directions. I always use a craft iron with no steam holes for a better adhesion. 4. 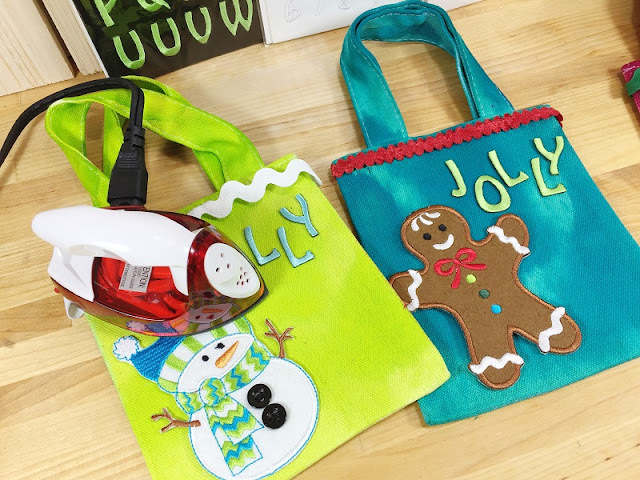 Glue the die-cuts and extra trim to the bags with fabric glue. Let them dry, then fill with goodies and they're ready to give, give, give! 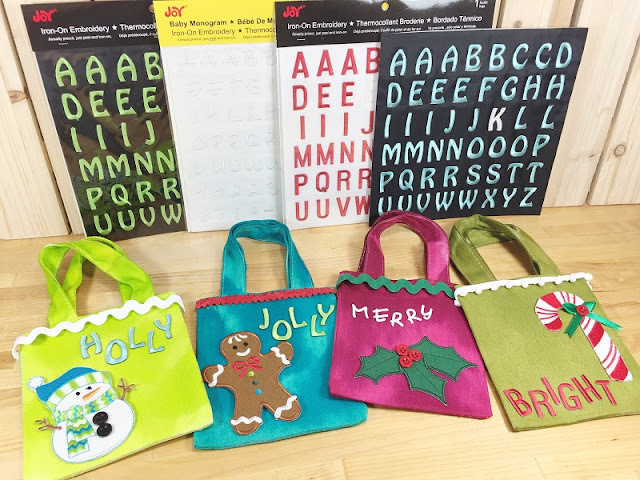 You can find Joy embroidered letters in a variety of colors and fonts at your local craft store. I love to display all the wonderful cards I receive during Christmas each year. 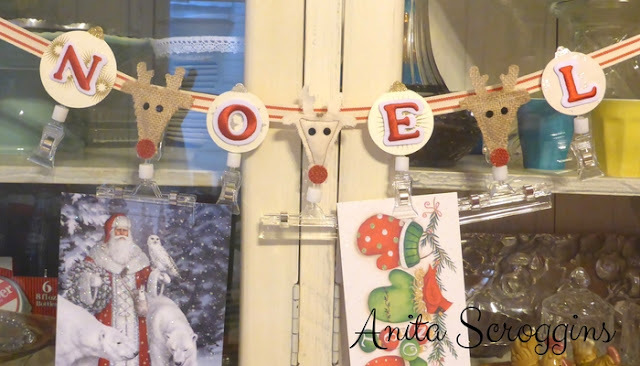 I have several spots for them, but I am always on the lookout for a fun new way to hang up all those beautiful cards! This project is so quick, you can squeeze it in between gift wrapping sessions. I pulled some cute die-cut shapes from my Christmas box and adhered a letter to each one. 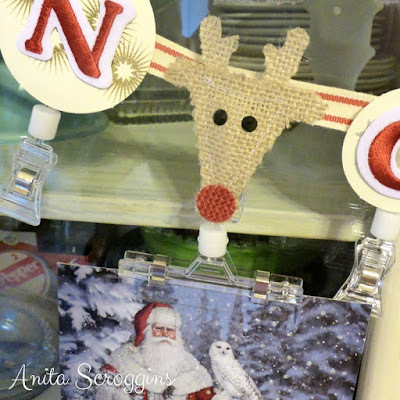 Adhere each embellishment to the top of each sign clip and add them in order to a length of ribbon. How cute are these little burlap reindeer? 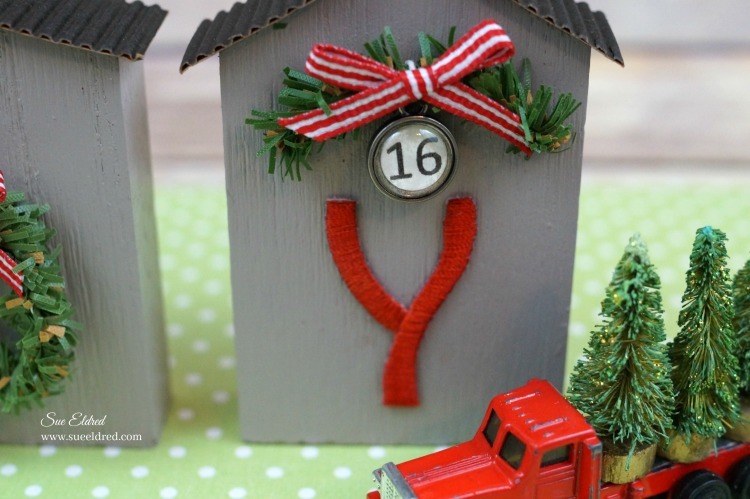 Share the JOY this Christmas with this simple wood house project. 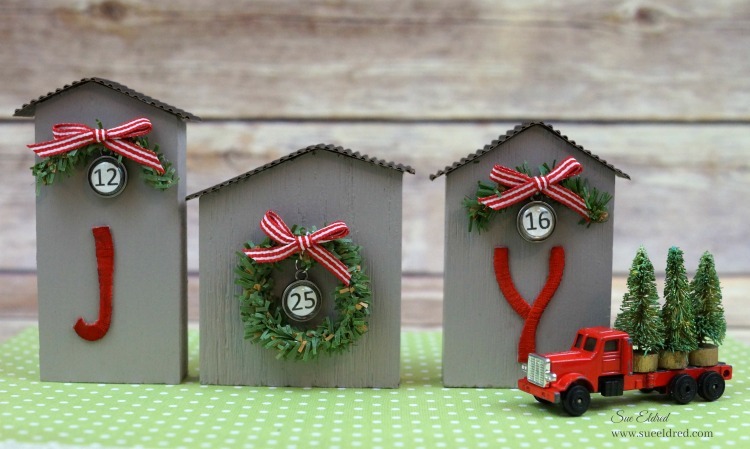 For my “Joyful Village," I started with some wood trim scrap pieces cut into simple whimsical house shapes. My pieces measure 4″ x 2″, 3″ x 2-3/4″ and 3-1/2″ x 2-1/4″. 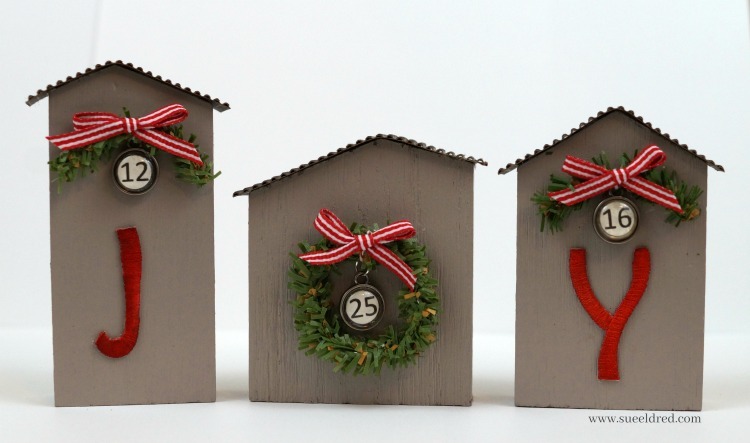 I painted each house with a couple coats of a nice brownish gray. Create a roof with a strip of black corrugated paper. 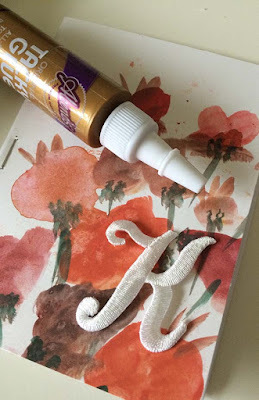 Add color to white embroidered letters (if desired) by dampening them with water, then rubbing them across an ink pad. 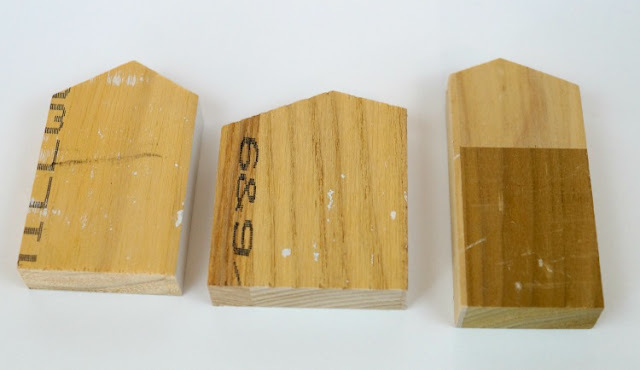 Glue a letter on to each house. Make a mini wreath and swags using pine craft stems. Print out the date on white cardstock and punch out each number with a punch to fit inside small metal charm frames. Tie the charms to the wreath and swags with ribbon and glue them onto the front of each house. Want to make sure Santa pays you a visit? Then make a sign to tell him! 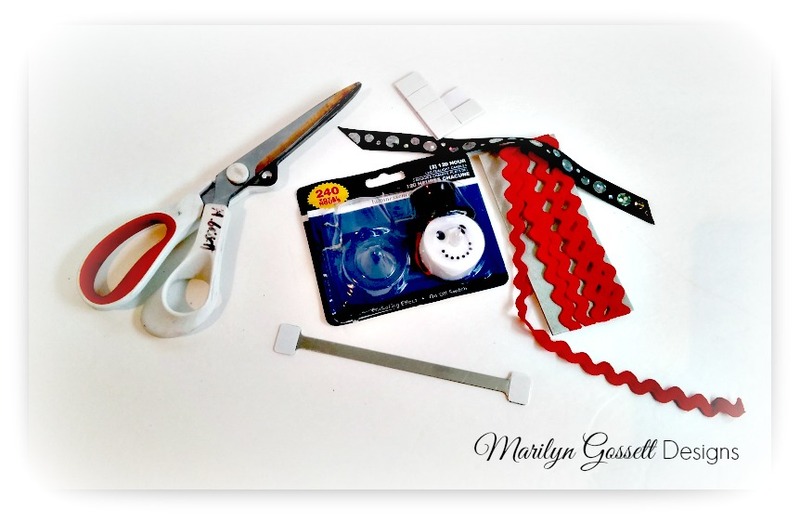 This quick and easy craft is fun for kids and adults alike. Paint the sign red, then allow to dry. Glue the letters in place - I like to stagger them so that I don't have to worry about them being straight, and they look more fun. 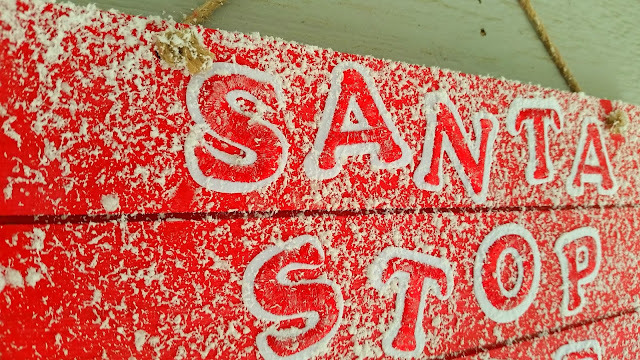 Spray the sign with snow - I wanted my letters to really stand out so I just gave my sign a light dusting, but you can always add more. 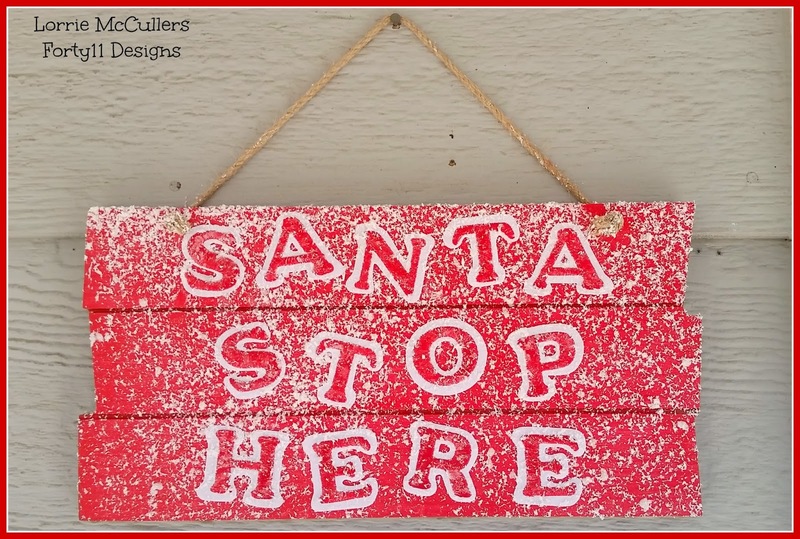 There's no way that Santa will skip your house with this sign, even if you have been naughty! Joy to the world! 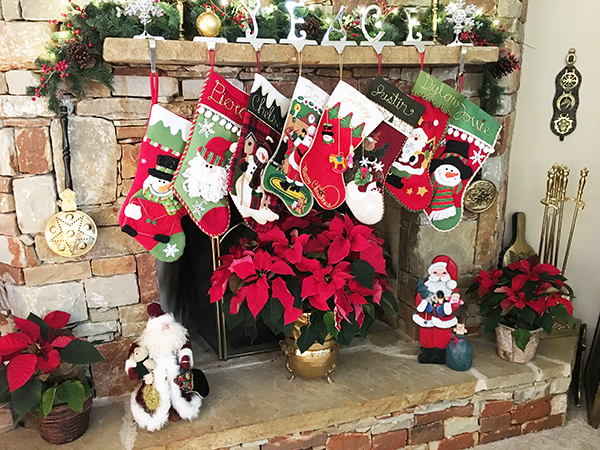 Christmas is just around the corner so it's time to start thinking about the gifts we want to give and how we want to decorate. I think everyone loves snowmen and everyone loves a message of joy... try this quick and easy idea for decorating plastic storage containers to fill with holiday treats. 1. 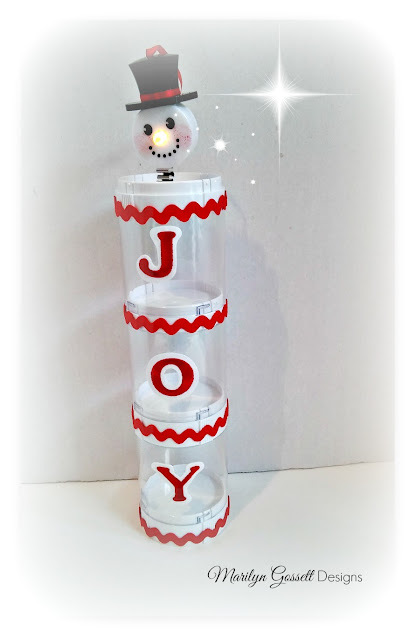 Glue each letter to the containers as shown - I used interlocking stackable containers to mimic a snowman. 2. Wrap and glue ric-rac around the top of each container, lining up the seams in the back. 3. Bend a piece of wire or a thin metal strip accordion style - glue one end to the back of a snowman tealight, and the other end to the lid of the top container. Hot glue or thick foam adhesive squares will work the best. 4. 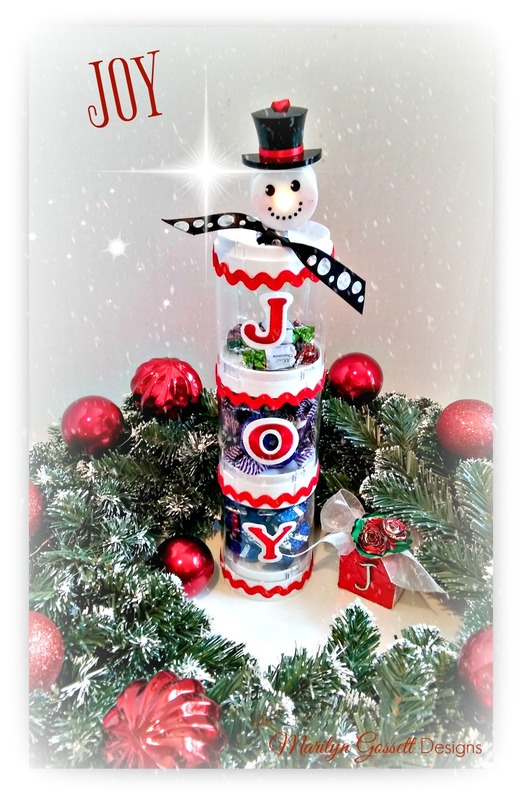 Tie a ribbon under the snowman's chin and fill the containers with candies or other treats. EnJOY the coming holidays - a gift from the heart is always a pleasure for both the giver and the receiver. Merry Christmas and may you have a very Happy New Year! 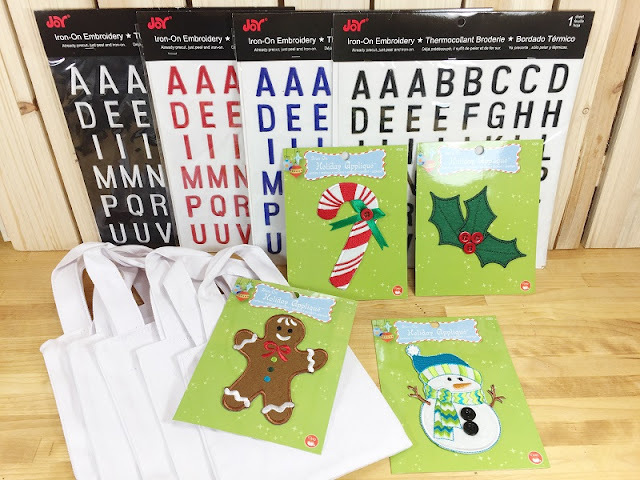 JOY embroidered letters will make your holiday cards shine. For my Noel card, I glued a strip of cardstock, a die-cut foil tree and gold embroidered letters to a pre-made card. In no time at all, I have a great-looking greeting! Joy embroidered letters come in metallic gold and silver for all your holiday decorating. 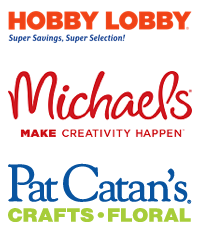 Find them in Michaels or Hobby Lobby.